Okay mamas, I asked on twitter but didn't hear anything back- what are some tips from you full time working mamas?! Yesterday I started a 6 day guest teacher job and boy-oh-boy am I tired! Is the tip just coffee? Definitely pounded a cup of that this morning before running out the door! 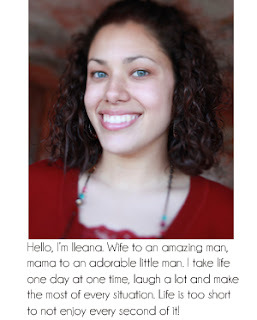 Ileana writes about her life as a wife and mama. 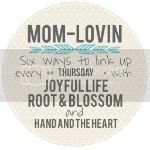 She shares lots of great tips for moms including her favourite baby accessories, and pregnancy tips. Check out her super cute DIY post on making embossed baby footprints! CUTE! Be sure to follow her! You might recognize her from awhile back- Hannah and I used to feature different mamas but now we're streamlined! If you long for authentic writing and real relationships through the interwebs, Elizabeth is your girl! She is a breath of fresh air in blog land and super sweet to boot. 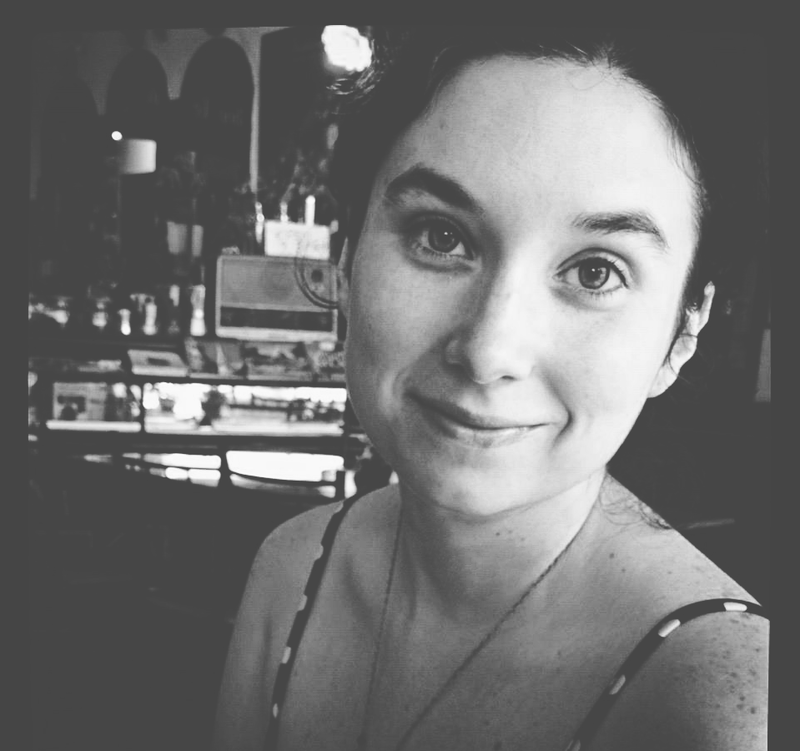 Elizabeth writes about her life and family living in Thailand. Go check The Bradleys out! You won't be disappointed. Please, if you are new to the hop or have been here but haven't left a comment, please let us know on our own respected blogs that you are a new follower so we can be sure to follow you back! 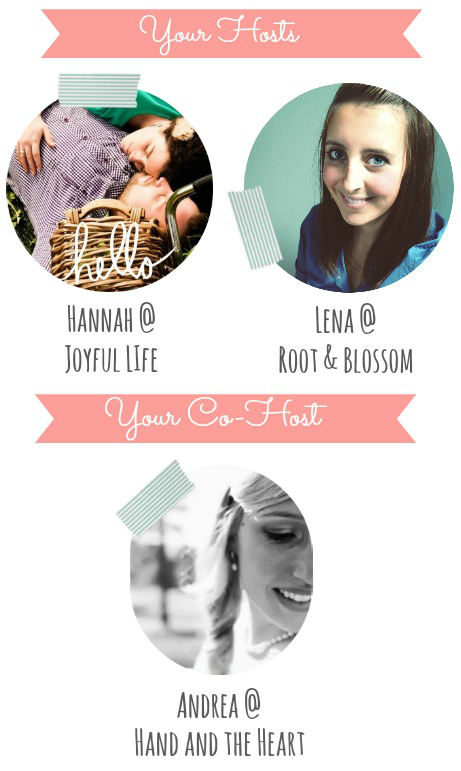 Also, If you are interested in co-hosting FOR FREE shoot Hannah an email at hannahsjoyfullife (at) gmail.com to get on the list, growing your followers couldnt be easier! Sorry you're so pooped! I don't have any advice since most of the time I'm trying to stay awake just from watching Riggy all day:) You're amazing! Aw Lena, good for you. Teaching is exhausting in itself, I can't imagine doing that and coming home to all the "home stuff" too! I wish I had some good advice for you! Also just seeing that with all of your business you must have missed my email update of the link up... my bad. Sorry friend. 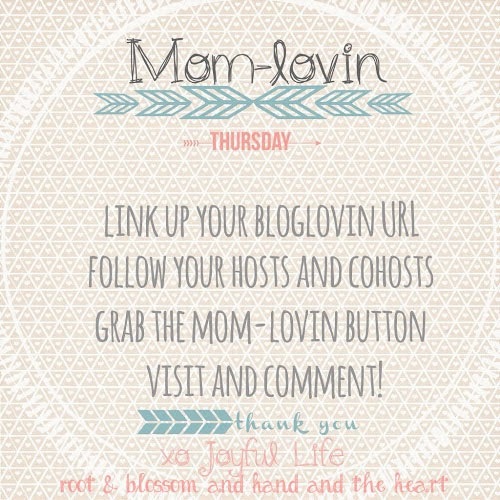 I'm a few days late to the blog hop, but I wanted you to know that I'm following you! I wish I could help you out, but I stay at home with my twins. Which is exhausting too! I look forward to reading more about you! I'm just dropping by to say hi (new from the mom-hop)! This is my favorite hop- it is small enough that it is manageable- and all the blogs are sooooo good! All I can think of for you is to go to bed earlier- better said then done, right? Oh my gosh Whitney, it hurts so bad being this tired! YIKES! Having two full time jobs is crazy. The goodness I think this may have helped me decided that being home is what I actually want to be doing! Following you back! It's never too late to drop by. :) Sorry I have been MIA- that will totally change next week! Glad you love the hop! It's been so much fun for us building this community!